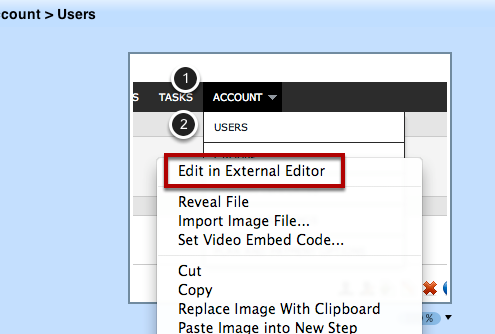 Learn how to edit images in any external editor and have your changes show up automatically in ScreenSteps 2. Right click (or ctrl-click on Mac) on the image you would like to edit and select Edit in External Editor. If you haven't already selected your image editor a dialog will appear allowing you to select the application you would like to use to edit the image. In this example I am going to select Photoshop. Edit the image, save and close it. Whatever changes you make will be shown in ScreenSteps 2. Remember that you must save the file in the same format. 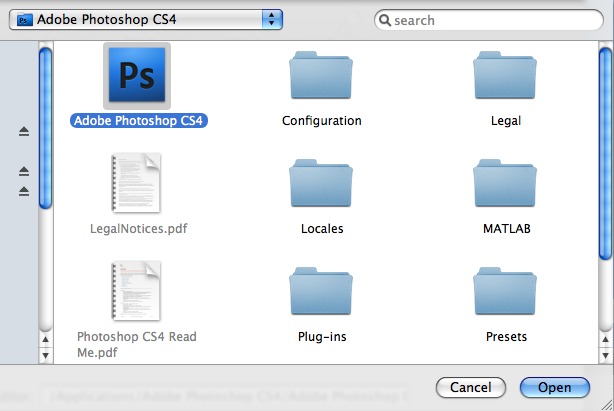 This means that if you are using an image editor that utilizes layers you will need to flatten the image before saving. If you ever wish to change the editing application you can do so in the Preferences menu.